It hadn’t been long when Suzuki unveiled its iK-2 Concept at the 2015 Geneva Auto Show. The company has rolled the dices in its favor at the Frankfurt Motor Show 2015, by sharing the production version of same. I believe this is one of the fastest production versions of any concept. However the new name has been decided to be Suzuki Baleno 2016. 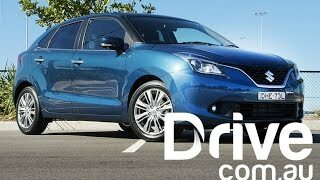 Let us have a look at the review of Suzuki Baleno 2016 to know more about it. The interior of Suzuki Baleno 2016 gets an all new revised look. Despite no change in the overall look of the dashboard, it portrays a modern touch through its new instrument cluster, which has a LCD color display, redesigned center stack flaunting chrome accents and a new center console beneath the entire setup. The gigantic organ extends its way and mark presence in between the front seats. There is also a seven-inch touch-screen display mounted over the dash, featuring an infotainment that can be utilized well by connecting it to an iPhone. The rounds of features include Apples CarPlay, Including maps, music, podcasts, audiobooks and other compatible apps. It also has a USB port and SD Card slot. The appreciation queue doesn’t ends here; it also has an adaptive cruise control system while the front seats offer you super-comfortable and luxury through optimized shape and the rear seats with enough of leg room. In all the interior of Suzuki Baleno 2016 is spacious, luxurious, tech-loaded and comfortable. 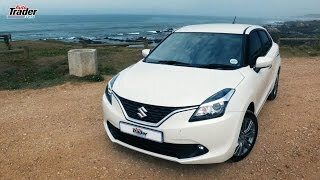 The exterior of Suzuki Baleno 2016 will highlight the resemblances it has with the concept we mentioned earlier, however a pinch of difference could be noticed through wheel arches and side skirts. The muscular look disappears in production version and comes bit flat and simple. Talking about the front fascia, it has a remarkable engine hood getting connected with the V-shaped grille, marking a new entity for the Baleno. Moving further the headlamps get a crispier touch complimenting the chrome trim around the grille. Taking a look at the rear side of Suzuki Baleno, the taillights get elongated shape while the bumper looks clean and elegant. 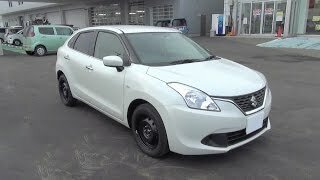 In all the exterior of Suzuki Baleno 2016 is elegant with tiny traces from past and another small part from the new era. 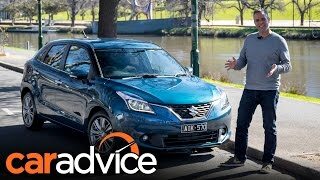 Beneath the hood of Suzuki Baleno 2016 are two engine options to empower this model. First in this list is a 1.2liter K12C four-cylinder engine generating total output of 80 hp and peak torque of 120 nm while the second is a 1.0 liter K10C DITC engine cranking total output of 170 nm. As standard both the engines come paired to a five-speed manual transmission however the former can be loaded with a CVT gearbox while the later has an option of a six-speed automatic option. 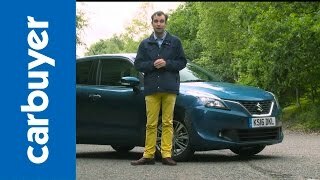 The performance figures of Suzuki Baleno 2016 and we assure to share the same as soon as company updates it.